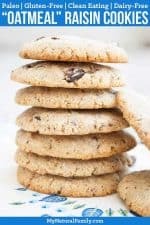 Paleo oatmeal raisin cookies recipe to help you live a Paleo lifestyle and still enjoy delicious food with almond flour, coconut flour, flax meal, and honey. 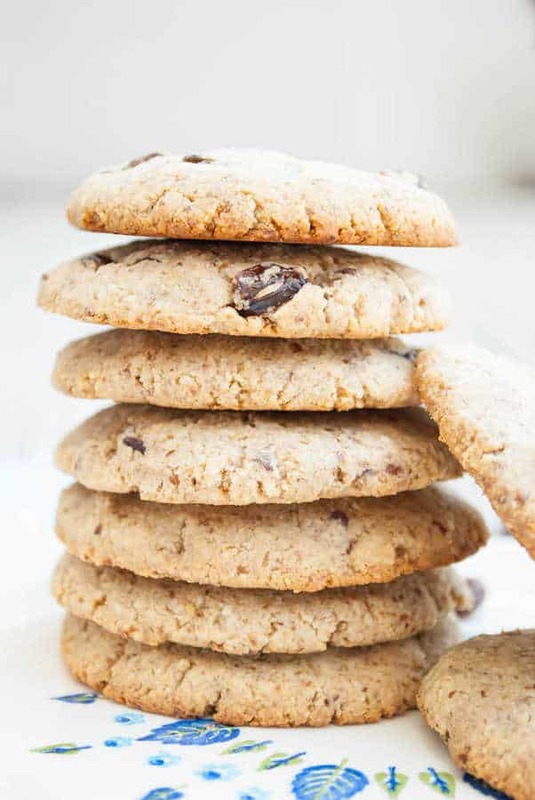 This Paleo Oatmeal raisin cookies recipe is chewy, soft and healthy. I eat them for snacks and desserts all the time! It can be a real challenge to live a Paleo lifestyle and still enjoy delicious food. 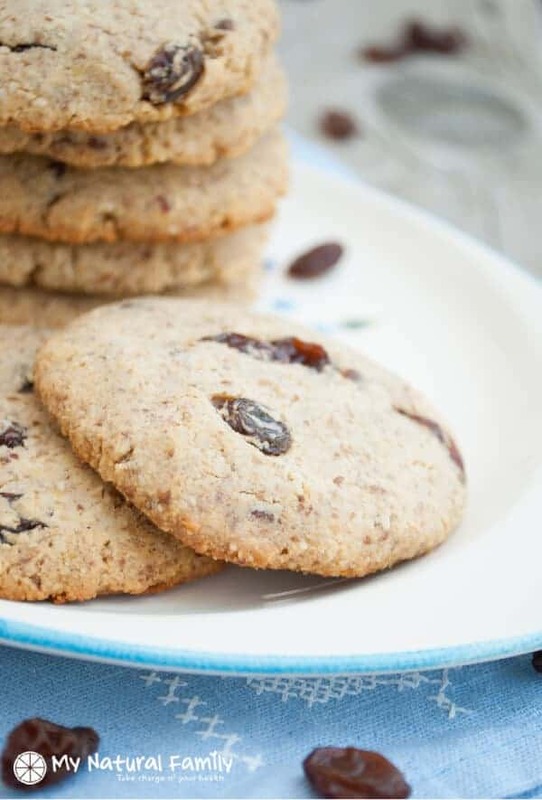 Well, we are going to make it a little bit easier for you here because we have a delicious Paleo oatmeal raisin cookies recipe for you. The recipe is for Paleo oatmeal raisin cookies with dates. These cookies are chewy and soft. They can have nuts added in, if you prefer. The cookies use a mixture of almond flour, coconut flour, flax meal, and honey to sweeten naturally. I love mixing the different flours together because then you can’t taste any one flour and it makes a really good texture. These cookies are sweetened with dates and honey, so they are much healthier than regular oatmeal cookies. I also think you will be surprised by how close the texture is to “real” oatmeal cookies. One of the best things about cookies is portion control so you know exactly how many cookies you’ve eaten. They are also great for kids because they can grab them and go. These are also healthy enough that you may even want to have one with your breakfast or for a snack. So I have a question for everyone – when you are looking at new recipes like on blogs like ours. What factors do you consider when trying to decide if you will actually try a recipe? Is it the ingredients or method? Or is it the pictures? A combination of all them? We would love your input so we know where to focus our efforts! Have a fabulous day! Paleo Cookies – You’ll Want Them All! These cookies are chewy and soft. They can have nuts added in, if you prefer. In a mixing bowl, combine the almond flour, coconut flour, flax meal, cinnamon, baking powder, and salt. Set aside. Place the dates in the bowl of a food processor and process until chopped well, forming a paste. Add the honey to the dates and process until blended together. Add the butter to the processor and blend with the dates and honey. Add the vanilla and eggs to the processor and blend well. Add the dry ingredients and blend in with the wet until just combined. Add in the raisins(more or less, according to your preference) and stir into the dough. Scoop out mounds of dough (2 T. per cookie) and roll into a ball. Place the dough balls on a greased baking sheet and press down to about 1/2″ thickness(cookies will not change shape or spread at all while baking). Bake cookies in preheated oven for 13-15 minutes, or until just turning brown on the bottom. Remove from oven and cool cookies on a wire rack. I made these with coconut oil instead of butter, and soaked the dates in warm water. The liquid was enough to puree the dates, so I left out the honey and they turned out great. Another change was chocolate chips instead of raisins since I didn’t have any. Even with these changes, the cookies turned out kid approved and quite filling. Thank you! Thanks for the modification suggestions. I’m sure they will be helpful to other people! How can you call these oatmeal cookies when there is no oatmeal? Wouldn’t they be call almond coconut cookies? They are “oatmeal” cookies in parenthesis because they are similar in flavor and texture to oatmeal cookies. They could be called mock oatmeal cookies I suppose. Have you tried making these cookies with another fat instead of butter? I follow a paleo diet because of numerous food intolerances. I am intolerant to dairy, specifically casein. I haven’t tried it, but it should work find with coconut oil or another Paleo fat and shouldn’t take all that different. Side note, I used to have a casein allergy and I could eat butter without problems. This looks delicious! Did you use fresh or dried dates? Hey so these are my new favorite cookie!!! Does anyone have any idea how many calories are in each?! Well, they wouldn’t taste the same but if you try it, please let me know how you like it. I’m so glad you liked them! We hope to see you again soon. these are called oatmeal cookies but there are no oats in these ? Correct. Oats are not Paleo. I made these and they turned out so well! However, I don’t like to share them, which has become a problem with the family. For me, whether I even think about trying a recipe is a combination of ingredients (my husband has food restrictions), pictures, and the ease of reading a website or recipe. Do you need to soak the dates, and do you cut them up before you measure? No, they can just be added into the food processor as is. Just pack them in as well as you can when measuring. These look so yummy! And simple. I picked up some dates the other day and have been searching for recipes to incorporate them into. And seriously, oatmeal cookies are great! (OR any cookies, really.) I’m all about texture, so I’m sure these will be right up my alley!! I made these today. They are really yummy! My question is this, mine were brown on the bottom but pretty lite on top. Is this normal? If the bottom is more brown than the top, there is more heat coming up from the bottom of the oven than the top. Try moving the rack up a level =) Your oven may just run very hot on the bottom heat source. Pretty pictures are nice, and not too difficult directions work for me, but I am mainly looking at the ingredients list. 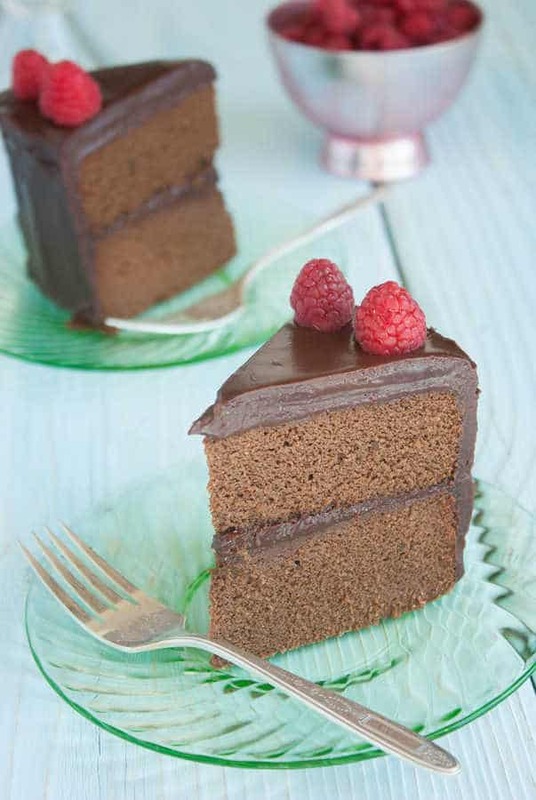 I have everything for this recipe, and will be trying it soon!